Our Sober Seventeenth St. Patrick’s Day Party is like an Irish hooley, a lively gathering featuring Irish music and dance. Our 6th annual event is from 5pm to 8pm on Sunday, March 17, 2019 at Ahern’s Banquet Center, 726 Avon Belden Road, Avon Lake, OH 44012. James Kilbane, a multi-platinum recording artist directly from beautiful Achill Island, County Mayo, Ireland, will present an entertaining night of popular songs from his career and life of Irish ballads, country and folk songs that have influenced his musical career and life. This will be a very entertaining night for all ages with classic after classic Irish and international ballads and songs from start to finish. James Kilbane rose to prominence as runner up in Ireland's national talent television show You're A Star in 2004 and is renowned as one of Ireland’s top Christian, country gospel and Irish singers. Fittingly, James was the headline entertainer for the prestigious gala Mayo Society Ball at the Renaissance Hotel in Cleveland last October 2015. The McNamaras from Cleveland will open the festivities with lively traditional Irish tunes on the flute and fiddle. Burke School of Irish Dance will demonstrate the energetic and precise art of Irish step-dancing. Special activities will be planned for children. About our Logo: Michelle Berki, a designer and illustrator from Cleveland, Ohio, created the logo in consultation with Sober Seventeenth, Inc. The writing is in modernized Celtic lettering designed by Michelle. The medallion features a Celtic shield, which represents safety and protection. The four quadrants invoke the four elements essential to life – air, land, water, and fire. The entwined knot symbolizes harmony and unity through inter-dependence. In the center, the three-leaf shamrock of St. Patrick was used by Patrick to teach the mystery of the Holy Trinity. The shamrock is officially a national symbol of Ireland. 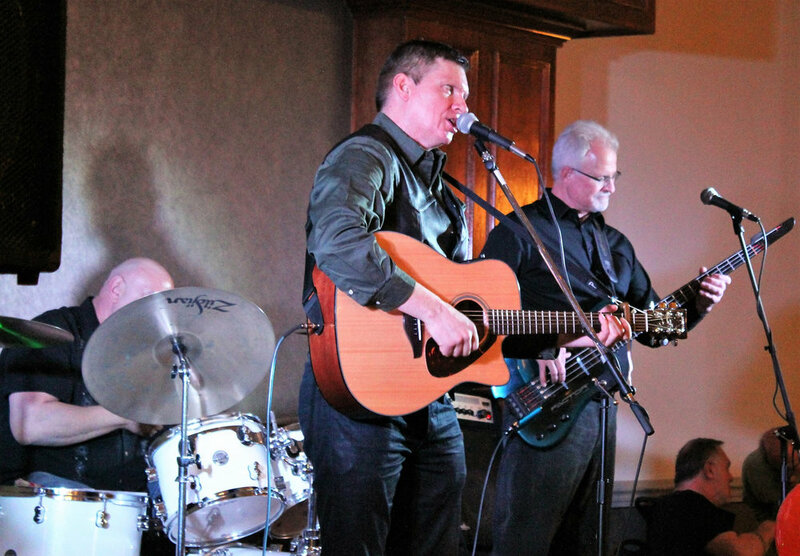 Sober Seventeenth, Inc. reclaims the true spirit of St. Patrick by providing a family-friendly, alcohol free celebration featuring the best of Irish music, dance and heritage for the Irish American and entire northern Ohio community on March 17th each year. Sober Seventeenth, Inc. promotes community health and safety, supports people in recovery from drug or alcohol addiction through relapse prevention, reduces binge drinking, provides for healthy family choices, and combats ethnic stereotyping. March 17th should not be a day of danger, drunk driving, and death. The persistent stereotype of Irish as drunks and the commercialization of St. Patrick’s Day by the liquor industry creates a climate conducive to binge drinking. St. Patrick’s Day ought to be a day to honor Irish culture yet each year there is a sharp spike in drunk driving arrests and traffic deaths. NHTSA statistics indicate that 276 people were killed over St. Patrick’s Day holidays from 2009 to 2013. Our highly publicized alcohol-free event sends an emphatic message that there is a better way, that March 17th is a day for family and friends to enjoy Irish music, dance, and culture, reclaiming the day that had been hi-jacked by the liquor industry. WE ARE SOBER SEVENTEENTH, INC.
Sober Seventeenth, Inc. is an Ohio nonprofit corporation based in Avon Lake, Ohio and recognized for exemption under Section 501(c)(3) of the Internal Revenue Code. Sober Seventeenth, Inc. began as a local affiliate of Sober St. Patrick’s Day©, based in New York City. Sober Seventeenth, Inc. is an all-volunteer program governed by a community Board of Directors. Sober Seventeenth, Inc. is recognized for exemption as a public charity under Section 501(c)(3) of the Internal Revenue Code. Jack is an attorney living in Avon Lake. He is the principal in John P. Kilroy Co. LPA which has a focus on tax exempt organizations and public charities. Jack has been an officer in several Irish organizations in the Cleveland area and frequently travels to Ireland. John Regan, formerly of Avon Lake and currently of St. Simon Island, Georgia is a credentialed substance abuse counselor who is dedicated to helping men and women get sober and stay sober. John is a comic improvisational actor and is the principal in Irish Rodeo Clowns. (Note: John Regan passed away last year. He is missed).